Divine Photo Prints are ready to hang. high-end ink jet (Giclee) printing on fine art paper. We print on quality archival acid-free textured art paper producing prints with greater fidelity, finer detail and greater longevity. 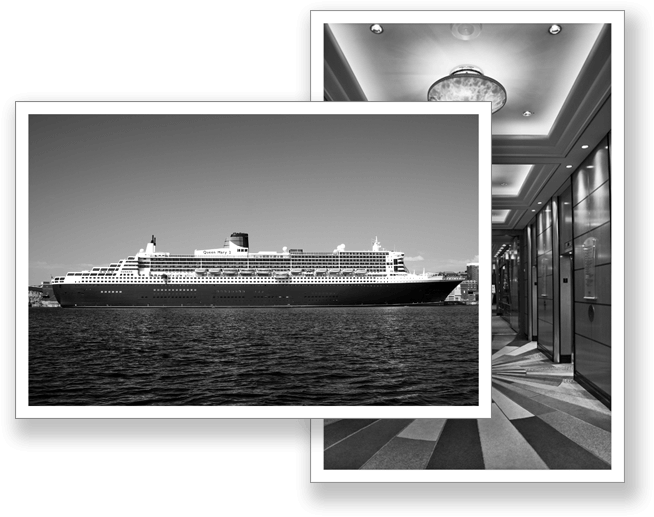 Divine Photo Prints bring Cunard, Queen Mary 2 and ocean travel into your home, office or any space. J D Schwartz’ black and white photography makes for a nostaglic yet contemporary look and feel and complements any interior design application or environment.